The indomitable Kilimanjaro, being the tallest free-standing mountain on the planet is sure to quench the thirst for a challenge. The trail is riddled with trials and is perfectly designed for the dauntless and stout-hearted. With several battles that test your mettle on the way up, the peak plays hard to get at a game you cherish the most. Despite what it takes from you, Mount Kilimanjaro gives you the most exhilarating, life altering experiences one could ask for. Picture yourself on the roof of Africa with spectacular, starry skies stretched out above and the sweeping grasslands of Tanzania spread out below. 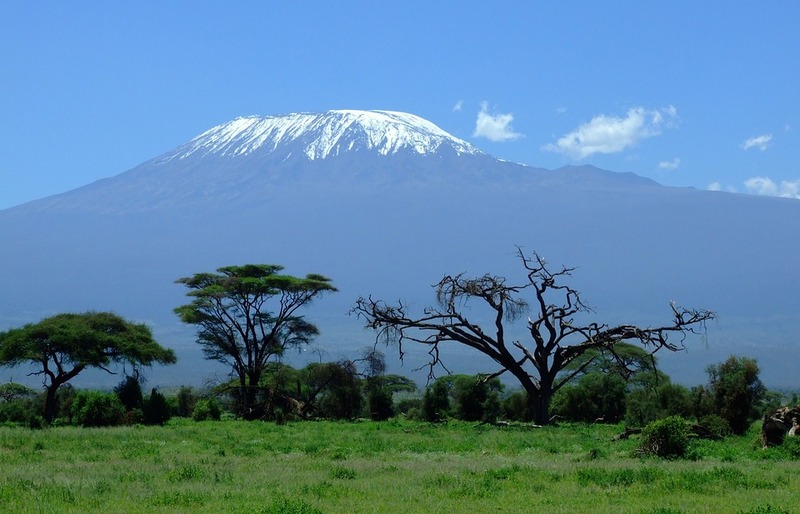 Don’t forget to put Kilimanjaro climbing on your bucket list. Mosi-oa-Tunya (“The Smoke That Thunders) on the Zambezi river forms one of the most monumental water spectacles in the world as more than 10,000 cubic meters of water cascades down 108 meters every second! When the water of the Zambezi recedes marginally, it is possible to walk along the lip of the falls and plunge into one of the many rock pools formed through erosion over thousands of years. While it is impossible to achieve this feat when the Zambezi is raging in full flow, the view from the edge of the falls makes for one of the most exhilarating experiences. Yeah exactly, This is the list everyone need to follow while travelling to Africa. Glad that you shared. Such a lovely post it was. I am just addicted to your blog. Keep sharing such details. What a post, sir you are sharing very good information. I am really thankful to have the information from this post. Thanks! Such a helpful info to visit Africa. Africa seems so adventurous, will really looking forward to be at a place sounds so interesting. Thanks for sharing this wonderful post with us.